How to properly pack a bowl. In todays discussion we will go over the methods we use to pack a bowl properly. Essentially process is really straightforward, however there are couple main points you have to keep in mind. So weight any further ado lets get to the basics. First thing you have to consider when you packing a bowl is your choice of bowl. Depending on your final goal there are couple options that are best for certain tobaccos. General rule is if the tobacco is moist, funnel style bowl is the best. 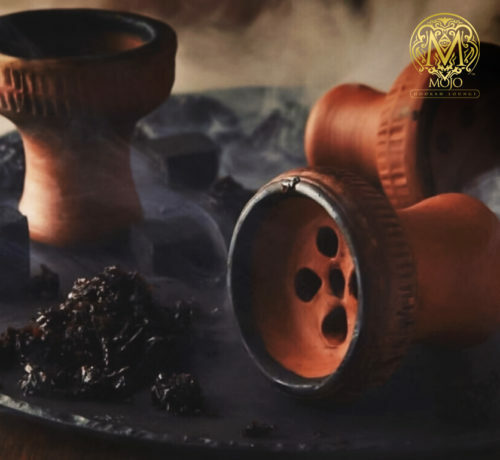 Drier tobaccos such as Nakhla work pretty good with the standard bowl that has 5 holes in the base. Materials that are used are also make a difference. Silicone bowls are the best for lighter tobaccos, clay bowls are best for stronger tobaccos. Once you decide what flavor you are packing, grab a bowl and lets start packing. Depending on what type of tobacco you chose, there might be an extra step required. If the leafs cut loose, grab scissors or a knife. Then cut the tobacco into smaller pieces. Drop the tobacco into the bowl and even it out so it lays even inside of the bowl. You want to keep the tobacco fluffy so the air cat travel through the tobacco leaves. Top layer of your tobacco should be even so the heat is distributed evenly. Once you pack a bowl, put charcoals on top and leave it for 5-6 minutes to heat up. Once it is ready you can start smoking and enjoying.